Elles of the Royal Engineers was regarded as something of a God-like figure by his men, and having already written and issued his Order of the Day, the famous Special Order No. 6, Elles announced that he would be leading the tanks into action. 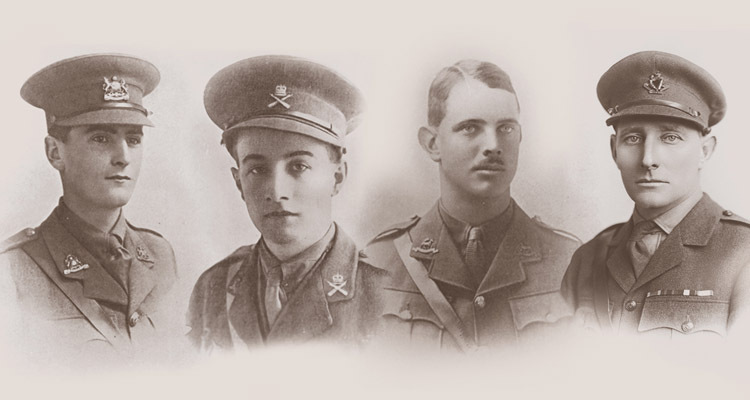 While it was quite normal for a regimental commander to lead an attack and many did, quite a few of whom were killed in the process, it was unheard of for a more senior officer to do so. When Elles announced his decision to one of his staff officers, J. F. C. Fuller the latter protested, but to no avail. A sketch purporting to show General Elles approaching Hilda with the flag. In reality it would still have been dark then but it’s the only relevant image we have. 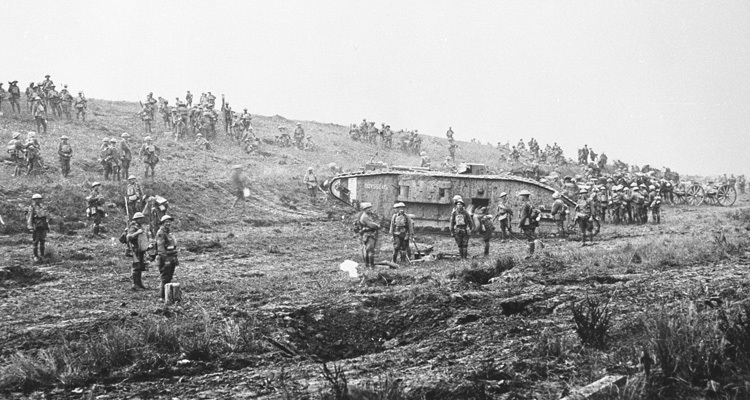 The H Battalion tanks were lined up along a ridge to the north of Beaucamp village in the dark. Even their journey up to the start line had been a bit hair-raising since the special tape laid out for them to follow had blown away. 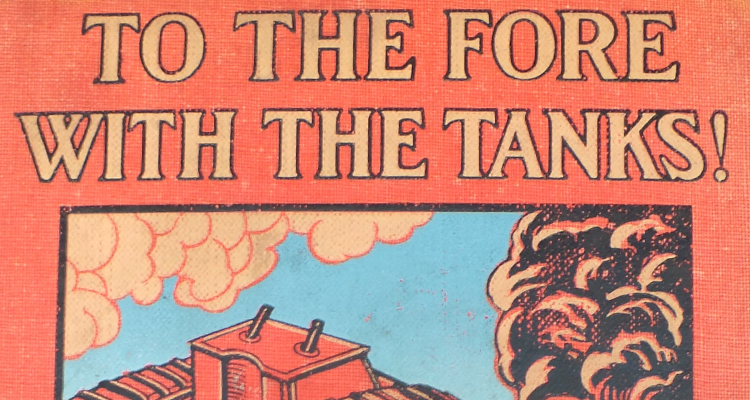 Still they got there and while they were waiting, a mysterious figure strode up, smoking a pipe and clutching what turned out to be the newly created Tank Corps flag of brown, red and green strips which he planned to fly from his selected tank. It was still dark and a mist had come down. Elles banged on the side of one tank, saying “Five minutes to go, this is the centre of our line and I’m going over in this tank.” The company commander, Major Gerald Huntbach opened the sponson door and told the tank commander, Second Lieutenant T. H. de B. Leach, about his special passenger. 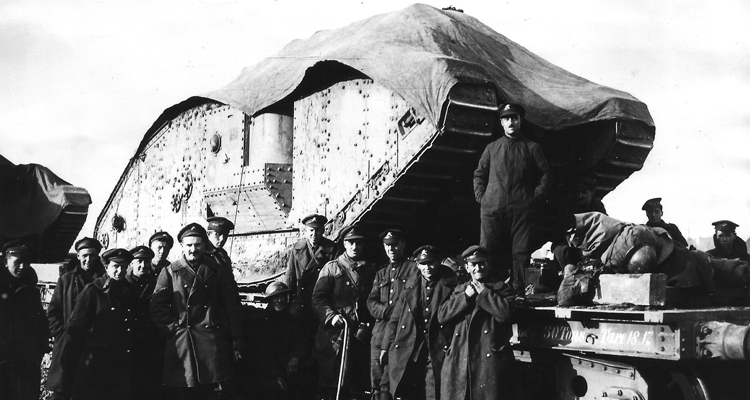 The tank Elles had selected to travel in was a Mark IV of course, a male tank. We don’t know its actual number but it was H1 in the H Battalion register and named Hilda (a bit odd for a male tank). It wasn’t actually the centre of the line but it was near enough. Hyacinth H45, commanded by 2nd Lieutenant Jackson was from No. 24 Company but still H Battalion. 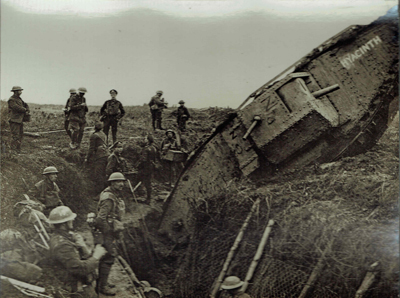 It got stuck in a trench, like Hilda and would also have to be towed out. As Elles climbed in and stuck his head and the flag out of the rear, upper hatch, the brief artillery barrage began and it was time for the tanks to move off. 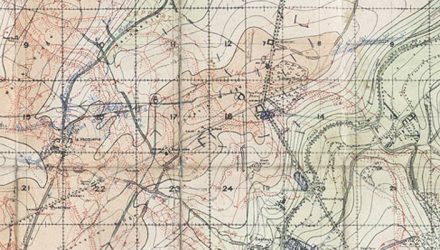 They crossed over the British front line, it was getting light now, light enough to see, as Huntbach said, that the tanks were keeping perfect formation and looking “huge, with their fascines, forging grimly ahead”. 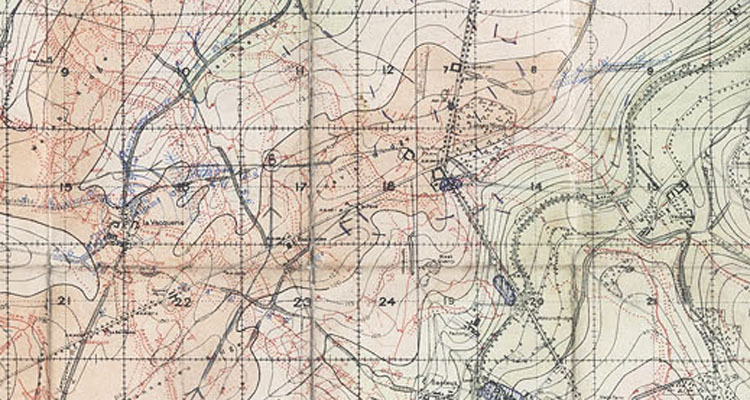 The drill for crossing the first trench of the Hindenburg line also worked perfectly and it was here that Hilda must have used its fascine, because it got stuck while trying to cross the next trench, the support line, and Elles, having done his stuff, got out and began his lone walk back to the British front line. Hilda itself wasn’t badly stuck and was duly towed out by another tank H4 Harvester which had been recovered by Huntbach himself, following on foot, when it had a serious engine fire. The photo of another male tank, H45 Hyacinth stuck in one of the nearby trenches show us to some extent what Hilda must have looked like at this time. Once free, Hilda and Harvester followed the other tanks into the village of Ribecourt. 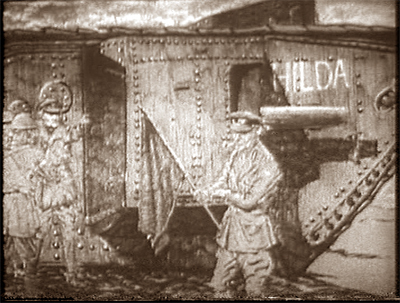 Hilda survived the day and was later photographed on a railway wagon before departing (see above), but Harvester did not. It was hit by a shell from Flesquieres that killed the driver and the officer alongside him and seriously wounded or shocked other members of the crew.